Outstanding training! All you need after this course is to practice and its all up to you…I can't wait! My employer was looking for a new service to offer our clients, and when he asked me if I was interested, I jump at the opportunity to attend the courses and to rate my overall experience, I would have to say it was EXCELLENT! 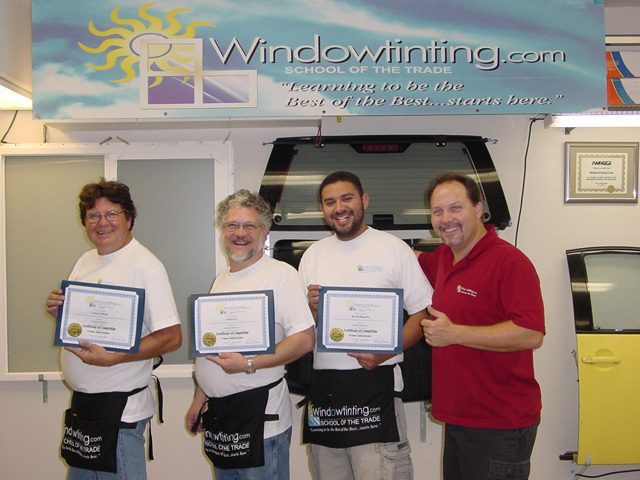 I took the 2-Day Flat Glass course AND purchased the Business Management Files two months ago and now I see I needed to learn to tint vehicles too; considering so many of my residential and commercial customers asked me to tint their cars as well. I recommend to everyone to take the FULL 7-Day course right from the get-go!